Is the Dell XPS 13 the best ultrabook in the market right now? Read our review to find out. The Dell XPS 13 has a great design and incredible 4K display with really thin bezels. It has enough performance but battery life is mediocre. The nose-up camera can be an inconvenience over time. Since the launch of the MacBook Air in 2008, both consumers and analysts had been looking at Apple for the next major leap in laptop design. 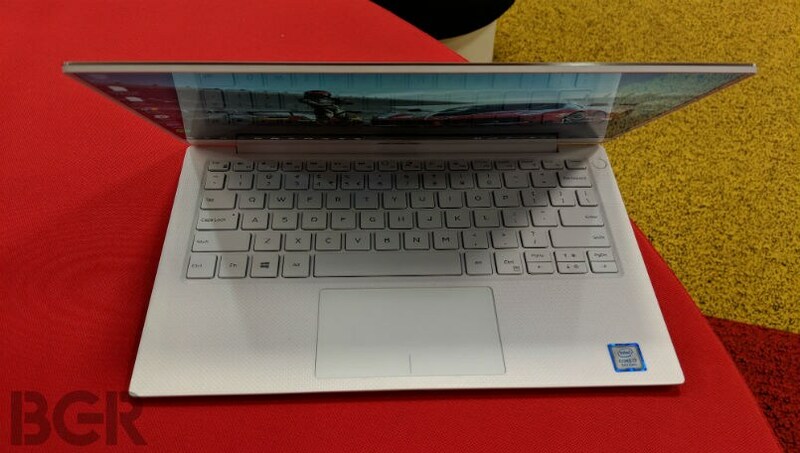 However, Dell stunned the world with its XPS 13 sporting the InfinityEdge display design in 2015. The XPS 13 was a major departure from the laptop designs that we had seen in the past. It was not only thinner and lighter but also packed a larger display into a smaller package. It was unlike anything else in the market at that time and Dell now has a refreshed version in the form of XPS 13 (9370). 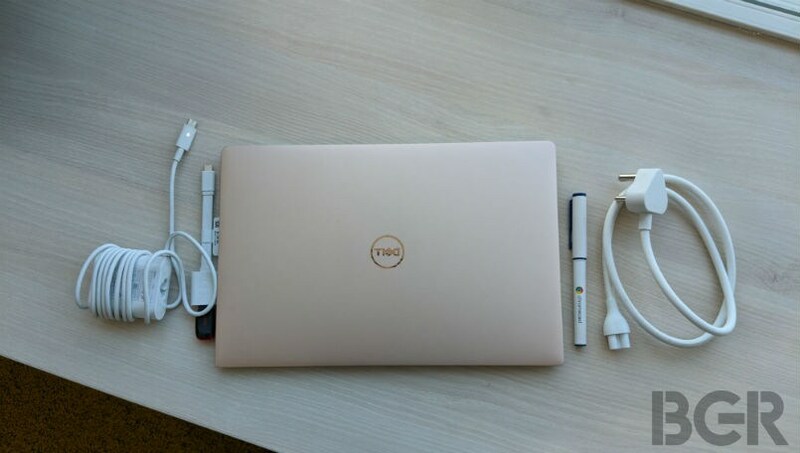 I am a firm believer that three notebook designs have changed the way we compute with portable machines – the original ThinkPad in 1992, MacBook Air in 2008 and Dell XPS 13 in 2015. All other notebook launches over the years took what these machines did best and refined them further for an even smoother experience. The first generation XPS 13 paved way for notebooks to pack a larger display in a tiny frame. 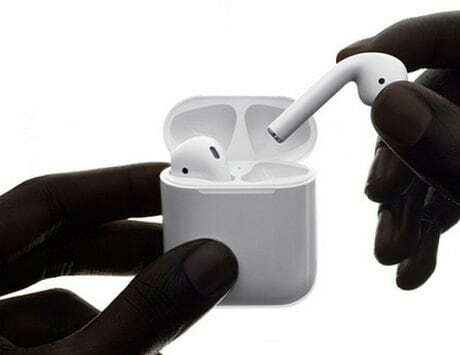 In fact, it is a design that has trickled down to smartphones as well. If you are wondering how then look at the naming system. Dell calls its design as InfinityEdge while Samsung calls its smartphone design as InfinityDisplay. Dell should be really proud of what it achieved with the XPS 13 in 2015 and it was undoubtedly the best laptop for most users at that time. The new XPS 13 does not make a leap like the original one and after using it for nearly two weeks, I think it retains everything good about the original model and adds few features that enhance the overall experience. That brings us to one important question: is this the best laptop in the market right now? Read on to find out. In India, the XPS 13 (9370) comes in three different configurations. The base model comes with a quad-core Core i5 8th generation processor, 8GB RAM and a standard slate grey finish. 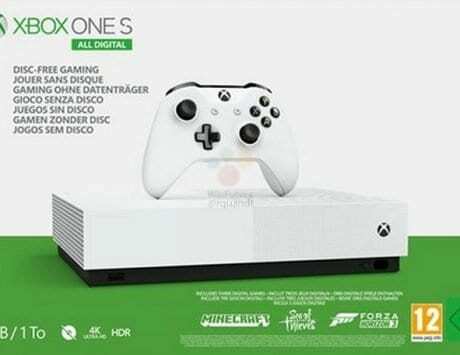 There are two more models powered by the faster Core i7 processor and options for either 8GB or 16GB of RAM and 256GB or 512GB of SSD storage. 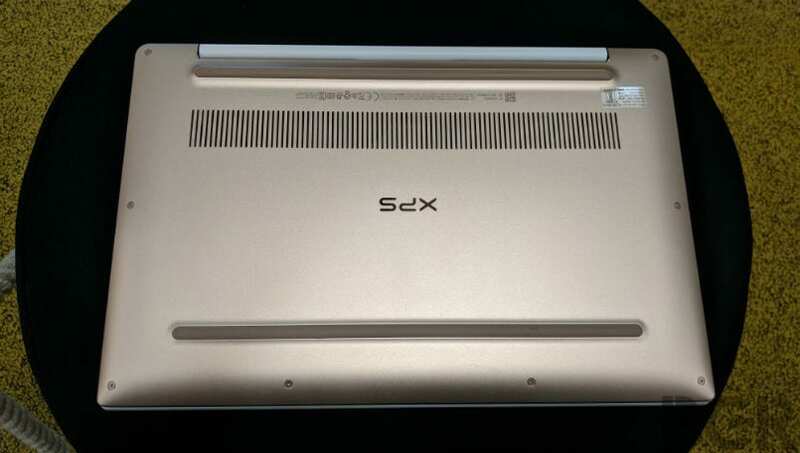 Our review unit is the top end model with 16GB RAM, 512GB storage and the Core i7-8550U CPU. It’s priced at Rs 1,59,790 and it comes in the rose gold trim with alpine white woven glass fiber on the palm rest. The moment I pulled the XPS 13 out of the box, the first word out of my mouth was: stunning. There aren’t a lot of adjectives out there to describe the design in a single word. The new XPS 13 is an amalgamation of great engineering with attention to detail only seen on Swiss watches. The XPS 13 is crafted out of a single piece of aluminum like it’s predecessor but now sports a display with even thinner bezels. Dell says the bezels are just 4mm thick around the display and are now displaced with an additional wedge-shaped structure behind it for support. If you are buying the XPS 13 then you know you are buying it for that InfinityEdge display; all other aspects of the machine are secondary. 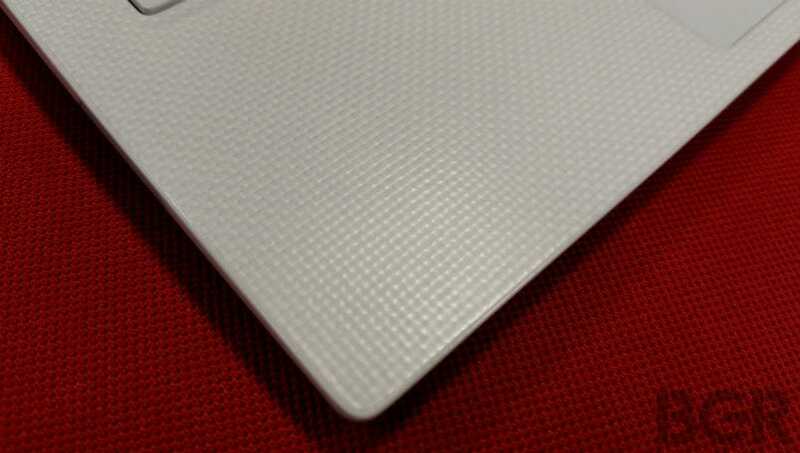 Another major change with the new XPS 13 (9370) is the alpine white interior and woven glass fiber palm rest (more on that later). I was skeptical about the choice of material at first because there was nothing wrong with the carbon fibre interior of the original XPS 13. 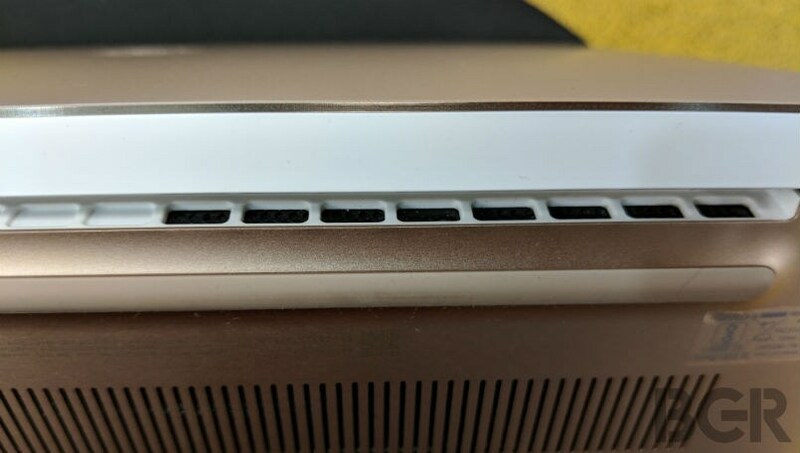 Now I’m convinced that Dell has perfectly thought out the whole design. Anywhere you touch, the new XPS 13 feels incredible and the palm rest feels as good as the Alcantara fabric found on the all new Surface Pro keyboard. Dell says the design goal with the new XPS 13 was to make the notebook lighter and not necessarily the thinnest. This is particularly important since thinner notebook designs always come with a poor keyboard. The new XPS 13 seems thinner than its predecessor but Dell has achieved that by switching to USB Type-C ports and not by compromising on the keyboard experience. 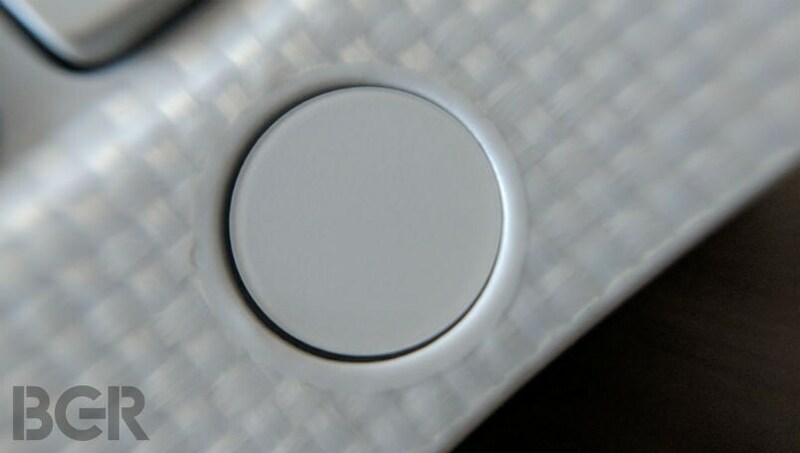 Also the fingerprint sensor is now combined with the power button, which makes it easier to reach than one placed within the trackpad. One fine evening, a Senior Editor for a different publication passed by my desk, only to come back and ask, “What machine is this?” and before I could speak, he added, “This thing looks stunning.” This kind of attention is guaranteed with the XPS 13 and the rose gold variant in particular has the same appeal of the iPhone 6S rose gold model. I can probably go on and on talking about the design but it would be futile without telling you about this display. While one can differentiate display from the design element on most other laptops, it is integral to the XPS 13. Our review unit comes with a 4K HDR panel and needless to say, the colors look extraordinary. I tested the screen with standard 4K video files and the color reproduction always seemed to be on point. The display has been factory calibrated to reproduce true to life colors and it seems more evident when you play back 4K HDR files. Bright colors such as Red, Green and Blue seem to pop right out of the display. This display when set to maximum brightness makes for a legitimately good viewing experience. In my last review of the Lenovo Yoga 920 Vibes, I wrote that the 4K display seems accurate but is not bright. 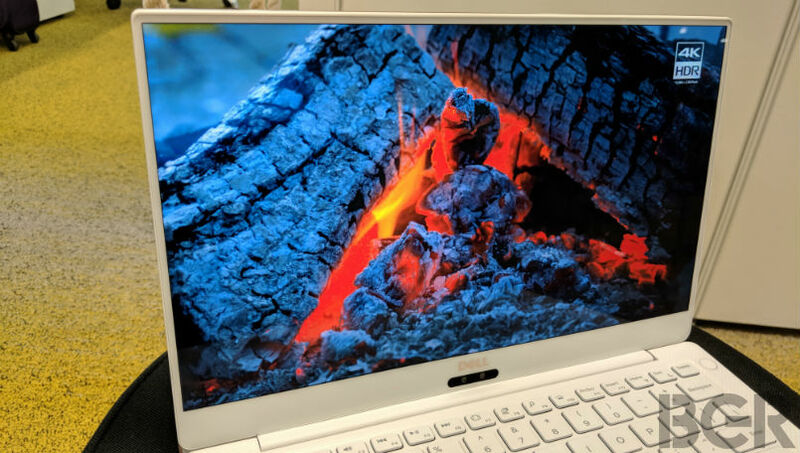 With XPS 13, Dell has ensured that the display is adequately bright even when the brightness is set at the minimum and it has a very good tendency of not reflecting too much of light. If you are buying XPS 13 then make sure to sit right in front of the display because the colors can seem a bit washed out from any other angle. Take any modern notebook with thin and light design, the typing experience is always a compromise. On the XPS 13, it is definitely not the case. The XPS 13 features a standard keyboard layout with 1.3 mm key travel, which is not a lot but the keys offer a nice, mushy tactile feedback that makes you trust the keyboard more. It is not really true of every other laptop that I’ve tested in the past. In my personal experience, only the Microsoft Surface Book and Lenovo ThinkPad lineup offer a keyboard that can be termed excellent. The XPS 13’s keyboard is not excellent but it is definitely not terrible. The keys seem to be raised just a bit so that you hit the actuation point perfectly whether you press the key from the centre or from an angle. The keys are also backlit but I am not a fan of it. Since the key caps are white, the white LED does not seem to be the right fit. Dell should have been a little bold here and opted for a different color. Despite the thin design, it offers two-stage backlighting, which is great considering the design. The keyboards on laptops these days have arrow keys which are more recessed than regular keys but here it is kind of well-aligned overall. The keyboard is also home to quick shortcuts which is a nice utility to have on the keyboard. Also, Dell sweetens the whole look and feel of it with that alpine white woven glass fiber. 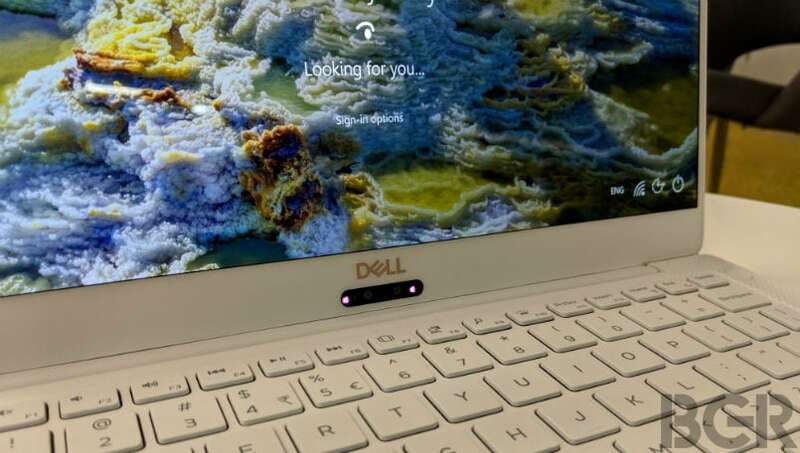 Dell says it is a custom material that the company made to give a distinct look to the interior of the notebook. The most important thing is that it feels nice to touch, and is way better than the metal surface on other laptops and convertibles. I’m not sure if it is anything spectacular in comparison with the carbon fibre interior of original XPS 13. The fact that it is smudge proof and stain resistant just makes it a nice thing to have, if not necessary. The trackpad on the Dell XPS 13 is not as large as the one found on new MacBook Pro models but it is made out of glass with integrated buttons and uses precision drivers for smooth gesture support. All the standard Windows 10 gestures work seamlessly with this machine. For example, the four finger tap to open action centre is a tricky one to pull for any trackpad and this one does that with ease. If you are a pro user who relies extensively on keyboard and trackpad combo for accomplishing your task then you will definitely appreciate the trackpad over the touchscreen. Dell XPS 13 is powered by the 8th generation Core i7-8550U mobile CPU with a base frequency of 2GHz and turbo frequency up to 4GHz. 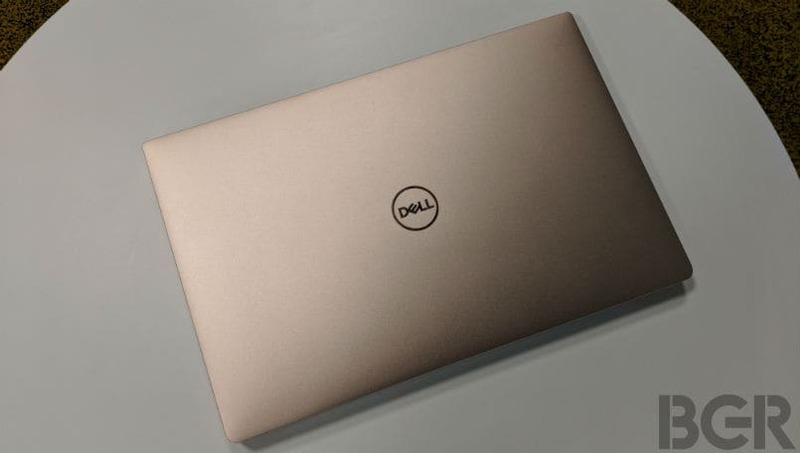 Our review unit came with 16GB RAM and 512GB SSD storage making the XPS 13 one of the fastest ultrabook that weighs less and is relatively thinner. In synthetic benchmarks, the XPS 13 was a bit slower than the Lenovo Yoga 920 Vibes, which uses the same processor. However, the XPS 13 shows its real prowess when you start pushing it with your full suite of work apps. I normally have a bunch of Chrome tabs, Facebook app, Twitter, Slack and a podcast app running in the background and I could not once slow this machine down to a stall. Though we all know how power hungry the Chrome app is on Windows, Dell has implemented smart memory management that ensures that memory allocation is handled pretty well even when you have two dozen tabs running on Chrome. It also manages to handle some lightweight photo editing on Photoshop but just don’t try editing videos with Adobe Premiere Pro, it would be painfully slow due to lack of a dedicated graphics processor. 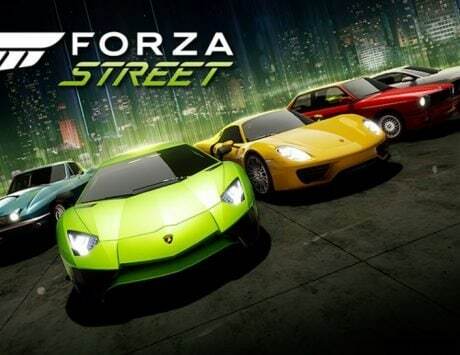 The XPS 13 with its integrated Intel HD Graphics 620 can play some basic games such as Crossy Roads with ease but it got extremely warm and fans started whirring at high speed when I tried to play Asphalt 8: Airborne. “The only legitimate use of a computer is to play games,” said Eugene Jarvis, creator of Defender. Eugene Jarvis won’t be impressed by the performance of XPS 13. As you would expect from a laptop powered by Intel’s mobile CPU, this machine is not meant for gaming – not even for some lightweight games. If the Dell XPS 13 disappoints in one area then it has to be the battery life. The XPS 13 lasted me for just six and a half hours, which is well short of my nine hour workday. I think Dell has probably packed a smaller battery than its predecessor this time around and without any doubt, the 4K panel takes a toll on the battery in a significant way. It is definitely not advised to walk out of home without carrying the charger. On the plus side, the XPS 13 charges really quickly through the Thunderbolt 3 port and the supplied 45W power brick. The Dell XPS 13 runs Windows 10 Fall Creators Update out of the box. 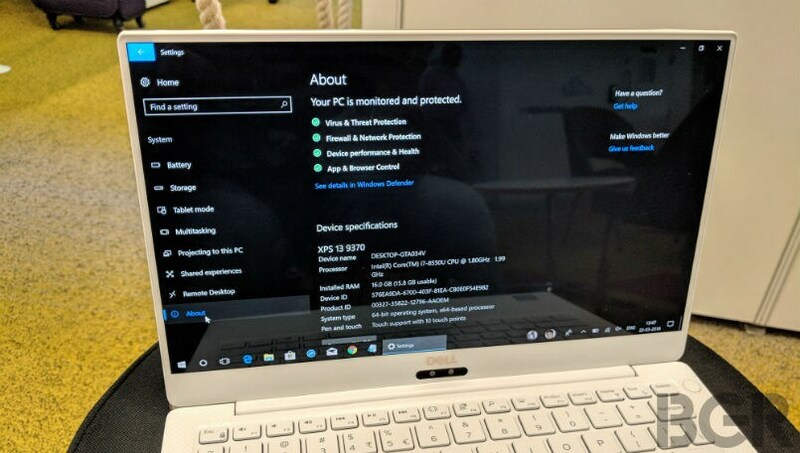 The laptop runs 64-bit Windows 10 Home edition and should have actually shipped with Windows 10 Pro, which offers more security and business management/deployment features out of the box. If you haven’t tried the new version of Windows then you will notice how Microsoft is moving towards a lighter hue and the taskbar getting more prominent options like People’s Bar where you can pin your contacts for quick communication on LinkedIn or Skype. Dell is not marketing the machine with any far-field microphones but Cortana could hear me even from the farthest corner of my room. Soon after I got the review unit, the XPS 13 would fail to boot and needed restart for the machine to boot Windows. Dell fixed that soon with a BIOS update, which is available from a system manager that constantly checks the system for its health. Dell has put together a nice tool that observes the machine for its performance and power consumption and then tunes for the most optimal experience. With the XPS 13, Dell is also introducing what it calls as Dell Mobile Connect, an app that can make seamless communication possible between your phone and PC. The app is not pre-loaded on the machine so Dell is not forcing it on anyone. 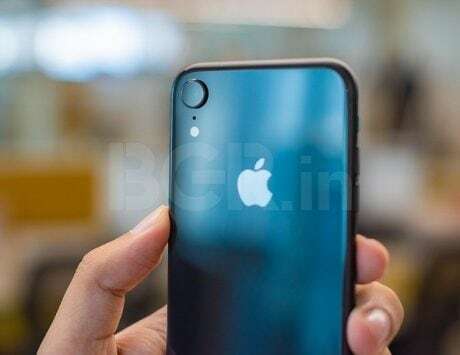 Once you download the app, it connects with an Android or iOS device via Bluetooth and then lets you view your phone screen on the laptop and even make or receive phone calls. The experience of using Dell Mobile Connect is close to emulating the entire phone experience on your laptop. You can check WhatsApp message and respond to it right from your laptop. It is one of the most useful tools from Dell in a long time. Apart from few basic enhancements, Dell has refrained from adding any bloatware which often ruins the experience. All basic Windows features work really well here and touch support means you can use the inking feature as an active clipboard. Dell is yet to find the right spot for the webcam. It is still at the centre and below the display and looks straight up your nose. I didn’t immediately notice that it is weird until a friend said that my webcam needs to be pointed straight during a Skype call. While it is weird, I’m willing to make that trade-off for that all screen display since I don’t make a lot of video calls. While the webcam stays where it always was, Dell is bringing infrared cameras for Windows Hello facial recognition. The additional sensor along with IR blaster scans your retina and creates a facial map for unlocking your device. It is really quick to unlock using facial recognition but only when you are in close proximity to the device. If, like me, you use the laptop at a desk then you won’t have issue with it. At times, it is faster than the fingerprint sensor on the machine. In the case of the XPS 13’s web cam, I have a feeling that you gain something and you lose something. Last but not the least, the Dell XPS 13, like the 2016 MacBook Pro, forces you to embrace USB Type-C for all things. On the XPS 13, you get three USB Type-C ports and an SD card slot. There is no other proprietary port for connection. Two of the USB Type-C ports also support Thunderbolt 3, so you can use it drive another 4K display or hook up an external GPU and run FPS games or do video rendering. However, the adoption of the USB Type-C port for all things connectivity is yet to take off in a big way. What if you need to connect a USB drive or external hard disk with a regular USB port? 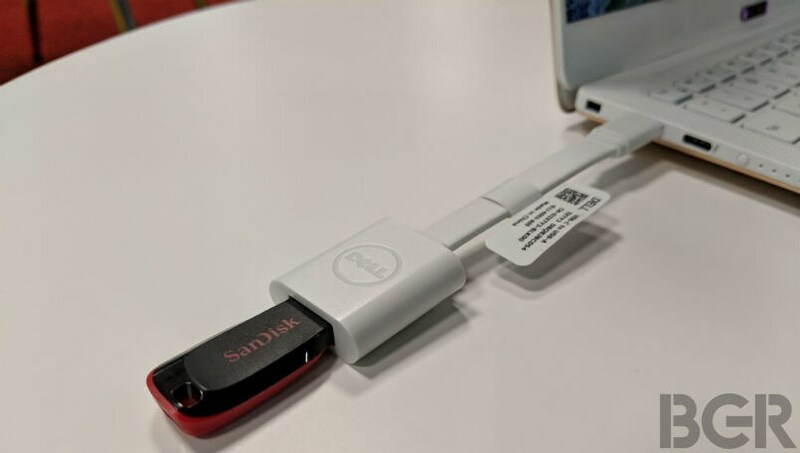 Dell has you covered by bundling a USB Type-C to regular USB dongle with the laptop. At the moment of writing this review, I have a dongle for USB Type-C to 3.5 mm headphone jack for my smartphone and a USB Type-C to regular USB adaptor for my laptop. One weird issue was that the Thunderbolt 3 ports could not charge my smartphone while turned off, which the Yoga 920 Vibes does with ease. Yes welcome to the #donglelife and the sooner you get used to it, the better life will be. I learnt it as a lesson while using the XPS 13 as my primary notebook. Verdict: Should you buy the Dell XPS 13? The 2015 Dell XPS 13 was the best ultra portable notebook one could buy, and after using the new XPS 13, I still think it is the best. However, it is not perfect anymore. For example, it does not have battery life that can be termed respectable (especially on the 4K model) and the nose-up web cam can get annoying if you do a lot of video conferencing. Also the USB Type-C port for all things is not convenient but considering the laptop is aimed at business users, they won’t mind investing in dongles or going wireless for connectivity. I think the XPS 13 is the best ultrabook one can buy, at least till Lenovo launches the sixth generation ThinkPad X1 Carbon in India.